I met Prof. U.S. Krishna Rao and his wife Chandra (U.K. Chandrabhaga Devi) during All India Dance Seminar, held at Vigyan Bhavan, New Delhi in April 1958. That was a historic conference with a weeklong dance festival in the evening at Talkatora Gardens. I was a greenhorn, up and coming scholar interested in dance, had gone from Mumbai to attend the seminar, thanks to Prof. Mohan Khokar’s suggestion, as all leading lights of dance world were to meet there. Chairman Justice Rajamannar, Vice Chairman Kamala Devi Chattopadhyaya, legendary dancers Balasaraswati, Rukmini Devi, great Sanskrit scholar Dr. V. Raghavan, Mrinalini Sarabhai, Kitappa Pillai, Swaminath Pillai, Kalakshetra dancers, including Sanjukta Panigrahi (nee Mishra),who was studying Bharatanatyam at Kalakshetra, Chinna Sarada, Pushpa Sundaram (nee Makhijani), musician D. Pasupathi, Kitappa’s student Padmalochani from Bangalore, Elappa Pillai, for whose presentation young Yamini Krishnamurty had given demonstration, were prominent figures in the field of Bharatanatyam. E.Krishna Iyer was to attend but because of his indifferent health, he could not come. Kamala (Laxman), Ramaiah Pillai could not come as Kamala was touring Japan. On the opening day in the morning session I remember the Travancore Sisters Lalitha, Padmini and Ragini had come for a while. 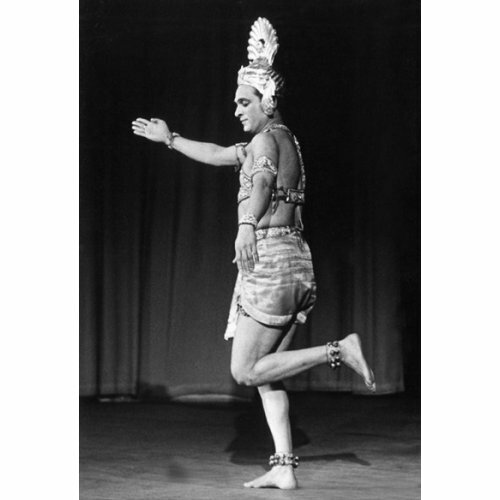 Among this galaxy of Bharatanatyam exponents were U.S. Krishna Rao and his wife Chandrabhaga Devi. Young Sudharani (Raghupathy) had also accompanied them. Prof .U.S. 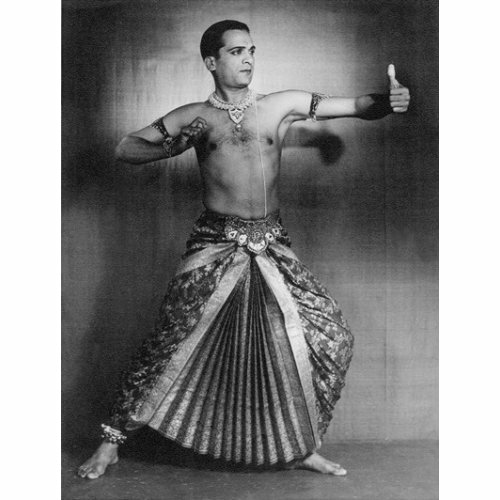 Krishna Rao was to present his paper on ‘New Trends in Bharatanatyam.’ I had read about him in Ram Gopal’s biography Rhythm in Heavens as his friend and a young companion. Ram Gopal and he used to learn dance and Krishna Rao used to take Ram Gopal on his bicycle. After the performances were over, which were held privately without Ram Gopal’s parents’ knowledge, some organized by the Yuvaraj, the prince, Krishna Rao used to accompany him. As I learnt later on, it was due to Ram Gopal that Krishna Rao took to dancing, though essentially he was to support himself, in future, as a Professor of Chemistry in Bangalore University. Those were the different times. Dance was still being looked down upon as an art worthy of practice by ‘the women of ill fame,’ Devadasis, who were considered ‘low women’ in society. In the late thirties, very few ventured to learn dance. Therefore, it indeed was remarkable and courageous on the part of Krishna Rao and Chandrabhaga Devi to take to dance and go to Pandanallur village to study Bharatanatyam under Meenakshisundaram Pillai. It was of course on account of Ram Gopal and E. Krishna Iyer that both went to study there under the great nattuvanar and guru in Bharatanatyam. We saw at the dance seminar unforgettable abhinaya session by Balasaraswati, who sang Krishna ni begane baro and cast a spell on the gathering by her divine singing. Her sancharis included for Jagadodharaka a sequence from Mahabharata, the court scene, Draupadi’s humiliation when Dushashana tried to disrobe her, and Krishna saved her by providing endless sari, and we were all spellbound. Whenever we met in Bangalore, we used to recall those moments. Similarly, we remembered the abhinaya with upaj ang, improvisation by legendary Shambhu Maharaj in Kathak to the thumri which he sang in his melodious voice: Kaun gali gayo Shyam bata de guiyan? Kaun gal gayo Shyam? In which street did Shyam go? And for showing street, Shambhu Maharaj showed various improvisations. He showed the parting of the hair, suggesting gali, he took surama, like kajal, to put in his eyes and suggested gali where the black of the eye was Krishna and the white was gali, he put perfume on the back of his palm and inhaled it, suggesting that the inhaling through nose, going within, was gali, and so on. None of us had seen the upaj ang, sanchari bhavas in Kathak depicted in this manner and were mesmerized. Both Bala and Shambhu Maharaj’s presentation opened my eyes to the imaginative approach of creative artistes of their caliber. The 1958 dance seminar had many surprises for us. The demonstrations of hastas, viniyogas, charis, pada bhedas etc by Kalakshetra dancers showed us the correlation between the shastra and the prayoga, the differences in Bharatanatyam banis, as demonstrated by Priyamvada - student of Balasaraswati and daughter of Dr. V.Raghavan - the demonstration of jathis by Kitappa Pillai as performed by Padmalochani and for Elappa by Yamini Krishnamurty. The ritualistic performance of Mallari by a traditional male exponent from Tanjore was all quite an eye opener. And one would never forget the historic conversation between Rukmini Devi and Balasaraswati about shringara and bhakti shringara. Whereas Bala laid emphasis on shringara which ultimately meant bhakti shringara, Rukmini Devi maintained that she preferred spiritual content in her presentation without denying the shringara as most important element of dance. 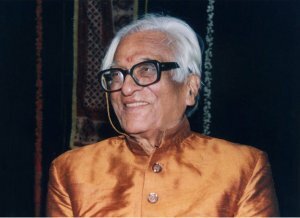 In his erudite paper, Krishna Rao elaborated upon various varnams, varnams in Tamil, Telugu and also need for compositions and padams in Kannada, bringing in variety of literature and music. He also referred to contribution of Mysore school of Bharatanatyam and mentioned Kolar Kitappa and his disciple Gundappa, who had intimate knowledge of both the Tanjore and Mysore traditions. (Prof. Krishna Rao’s paper is being edited by me for the 1958 Dance Seminar papers under publication by Sangeet Natak Akademi). Krishna Rao spoke with enthusiasm, vehemence and excitedly. He was indeed very pleased to be among a galaxy of great nattuvanars and legends like Balasaraswati, Rukmini Devi, Dr. V. Raghavan, Kamala Devi and others. He mixed with one and all and I remember when he sat on his knees in front before Shambhu Maharaj when the Prime Minister Pandit Nehru joined all artistes for a group photograph. Some of these rare photographs are in the archive of the Sangeet Natak Akademi, New Delhi. After the dance seminar, we kept in touch through letters. I visited Bangalore after two years and met Nataraj, husband of Maya Rao and the scholar and critic BVK Shastri, known as BVK. I stayed with Krishna Rao and on account of my interest and research in dance, our friendship was strengthened. Nataraj, BVK and I used to meet very often and I learnt a lot about the dance scene in Bangalore, watching classes conducted by Krishna Rao. He was a strict task master and till he was satisfied, he would not take rest, nor would allow the student to take rest. He had also a great sense of humour and lightened up the mood if he had made the student feel dejected or depressed on account of his remarks. Jovial, full of humorous stories and accounts, Krishna Rao would regale me with anecdotes about dancers and also gurus. 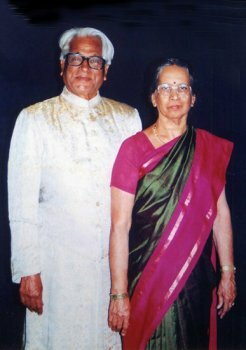 Since I had read Ram Gopal’s biography and knew Kathak exponent Kumudini Lakhia, he would tell me how at the suggestion of Ram Gopal, Kumudini had also studied Bharatanatyam from him for some time. There is an excellent photograph of Kumudini and Ram Gopal performing Bharatanatyam together in Ram Gopal’s booklet. Later on, Kumudini concentrated only on Kathak and today she has been hailed as a most creative choreographer in Kathak with her students like Daksha Sheth, Aditi Mangaldas, Maulik Shah and Ishira Parikh, Vaishali Trivedi as dancers carving their own niche in Kathak. When I met Sonal Mansingh (nee Pakvasa) in 1964, she was studying Bharatanatyam under Krishna Rao and Chandrabhaga Devi. Sonal and I used to attend performances at Bhulabhai Institute in Mumbai where the trustee Soli Batliwala used to arrange many performances. For one of Sonal's performances, Krishna Rao visited Mumbai and we had arranged a lecture demonstration by him at Bhulabhai Institute, which was well attended by the local dancers. He had explained the salient features of Pandanallur style. Anjali Merh (nee Hora) was also among the audience. And there was a very lively discussion among the two on the dance styles taught at Bangalore and the style as taught at Kalakshetra where Anjali Merh had studied Bharatanatyam under Rukmini Devi. It was always a pleasure to listen to Krishna Rao who often provoked the other person to argue! On account of my friendship with Sonal, Krishna Raos and I came closer. Every visit to Bangalore meant evenings with Krishna Raos and BVK and also with Nataraj. When Krishna Rao and Chandrabhaga Devi went on a tour of Europe, Canada and America, I happened to visit Bangalore and stayed at their residence. Their son Jayadev looked after me. During those years, I came to know Vimala Rangachar, Lalitha Srinivasan, Leela Ramanathan and other artists in Banaglore. Of course, Shanta Rao was another prominent figure, having studied under Meenakshisundaram Pillai. But she kept herself aloof and inaccessible in those years. During the time I was working on my book on Bharatanatyam published by Marg (First edition 1979), Krishna Rao often gave me useful information. He was generous in giving information and sharing knowledge. Among his students were also few friends like Kama Deva from London, Mamata Niyogi Nakra from Montreal, Sonal, Asha and Revathi, Sudharani and Prathibha Prahlad to name a few dancers. Therefore we shared a common bond. Chandrabhaga Devi was a gracious host and always welcomed me whenever I visited Bangalore. I had met legendary gurus of Bharatanatyam like Kitappa Pillai, Elappa Pillai, Ramaiah Pillai, Swaminath Pillai, my own guru Kalyanasundaram Pillai of Rajarajeswari Bharata Natya Kala Mandir, Mumbai, and others. As a non-traditional guru not belonging to any dance family, Prof. Krishna Rao was different. Whereas with other traditional gurus one was always under their awe and hesitated to talk, with Krishna Rao it was easy to talk freely. He had a large community of students at the University level and he dealt with their problems in a friendly manner. He was more like a friend. And we could discuss various personal issues with him. He advised us appropriately and assured us of his affection and was extremely cordial. Krishna Rao has many publications to his credit including ‘Dance in Modern India’ in Kannada and ‘Lasya Ranjana,’ a translation with illustrations, based on one of the palm leaf manuscripts on Indian dance, ‘A Panorama of Indian Dances’ and other books. The couple was honoured by the Mysore Government with state award and by Central Sangeet Natak Akademi award. Many awards have been conferred upon them, which they richly deserved. They have trained a generation of dancers in Bangalore, including their granddaughter Anjali Jayadev. I met him last when he had turned 90. I had called him before going over to see him at his residence. I was late and he was quite upset and admonished me. He then got his sense of humour back and warmed up as usual and recalled several incidents of his career. He recalled when we had gone together to Nrityagram with Ram Gopal and met Kelubabu, Kalyani Kutty Amma and Protima Bedi there. That was the last photograph taken at Nrityagram, which Protima had sent to me. He admired Protima’s efforts to establish Nrityagram. He also remembered Poovaiah Sisters (Kathak exponents from Coorg), who had settled in Bangalore from Mumbai. We used to meet them also. I did not know then that it was the last time I was to meet him. I shall always cherish happy memories of U.S. Krishan Rao and U.K. Chandrabhaga Devi. 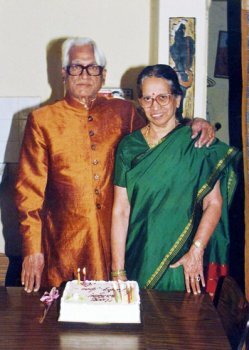 Brilliant performers and teachers, as a couple they were legendary figures in the dance world in Bangalore. I pay my humble tributes to them reminiscing precious moments spent with them on the occasion of Krishna Rao’s birth centenary. Dr. Sunil Kothari is dance historian, scholar, author and a renowned dance critic. He is Vice President of World Dance Alliance Asia Pacific India chapter, based in New Delhi. He is honored by the President of India with Padma Shri, Sangeet Natak Akademi award and Senior Critic Award from Dance Critics Association, NYC. He is a regular contributor to www.narthaki.com, the roving critic for monthly magazine Sruti and is a contributing editor of Nartanam for the past 11 years. Thank you, Sunil, for sharing so many glittering nuggets of information which you were privy to, in your Tribute to Guruji. I found the article most enlightening. In this year of his birth centenary anniversary, I would welcome an initiative from you to publish a more exhaustive article on the life and times of the Gurus U.S. Krishna Rao and Chandrabhaga Devi of Bangalore. I, for one, would consider such an undertaking by you, worthwhile and enriching indeed for all of us interested in dance history and the Rao couple's dance legacy, in particular. It would prove to be a much-needed and well-deserved document by a dance scholar who is privileged to have such archival material which is sadly, sometimes, lacking in the context of Indian dance research. Renewed thanks for your spirit of generous sharing. While Prof.U.S.Krishna Rao was responsible for illustrations for Lasya Ranjana, the actual translation was done by the editors Dr. H.R. Rangaswami Iyengar (English) and Vidwan S.N.Krishna Jois.